I want to take just a moment to wish all of the fine Fairbanks musicians, supportive parents, families, and friends, a very Merry Christmas, a Happy Holiday, and peace on Earth, goodwill to everyone. 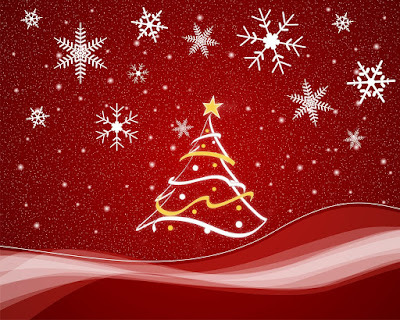 I hope you and your family can enjoy the true happiness that we all deserve. See you in January! The game is on! See you all at 6pm! A good friend of mine casually commented to me the other night that our Fairbanks High School Alma Mater was the West Point Alma Mater. I was overjoyed! I have been looking for the origin of our school song for nearly a decade. Even with modern technology, it's been difficult to search for a song only knowing the melody. Even the author of the Fairbanks version of the lyrics, whom I contacted, did not know the origin of the music. I got a tip a few years back when the song played in the movie "Elizabethtown" at a military ball of sorts, but still couldn't nail it down. Although it is unclear who the original composer of the tune is, it is based on a melody composed in 1827. Want to hear the original and read the original lyrics? Click here to go to a West Point page maintained by John Greiman. The assembly for 5/6 choirs and JHCB is on for 10:30. See you there! We are on a two hour delay, Friday, December 19. I don't know what the status of the MS holiday assembly is. I'll let you know as soon as I know. I haven't gotten around to a fancy post of all the videos here on the blog, but they all have been uploaded, so you can view them all by clicking here. Enjoy! Click to see tonight's program in PDF. It's already gone to press, so if you find problems that we didn't already catch, it's too late (sorry!) Hope to see you all tonight at 7 PM! Monday, December 15, 2008, 7:00 P.M. These groups will follow directions from Miss Janchar. You need to be seated with your family with your instruments and folder ready to watch the 5th Grade Choir at 7PM. Immediately after the 6th Grade choir’s performance, go promptly to your performance seats on the gym floor. We will warm up and then play Chorale 1 and then perform our program. After we are done, we’ll file out and then you will sit in with your family. If you share instruments with a HS band member, they will be waiting for you in the corner to take your instrument. Do NOT go back to the band room. Originally uploaded by fhsbando. Pictures have been posted on the picture page. Thanks for a great performance last night! Hope you're ready for Monday night's concert. I have uploaded the video of Thursday night's Fairbanks Elementary Holiday Concert, featuring students in grades K-4. Feel free to share this link with family and friends who were not able to attend, or even with those who did so they can again enjoy the performances of our fine young Fairbanks musicians! FES Holiday Concert 2008 from Ben Keller on Vimeo. If you are taking private instruction in vocal, wind, string, percussion, or piano, and are interested in performing in the District XV OMEA Solo and Ensemble Contest at Hilliard Darby High School, please contact me ASAP. We need to make sure the piece you have selected is on the list of required pieces, and instrumentalists must also perform assigned scales as part of their rating. The Music Boosters will pay your registration fee if you choose to participate, but once registered, you are committed to follow through with your performance, or you must reinburse the boosters for your registration fee ($14). 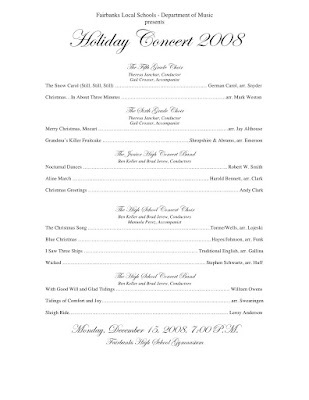 The Fairbanks Elementary School will present their Holiday Concert tonight at 7pm in the high school gym. 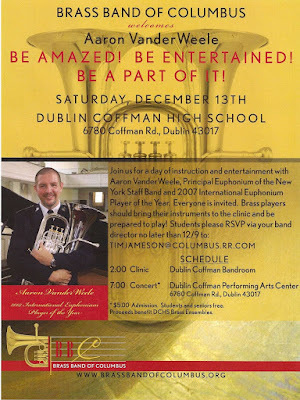 Grades K-12 will be performing and we hope you will join us for a night of holiday fun! A Thank You to Parents, Guardians, Students from Mr. Jerew! For those of you who haven't met me or haven't heard about me from the students, I'm Mr. Jerew and I've been student teaching here with Mr. Keller for the past 9 weeks. I wanted to take an opportunity to express my heartfelt thanks to the Fairbanks community that has supported me so well throughout my time here. The 5th grade choir, under the direction of Miss Janchar is prepping for Monday night's concert. Will you be there? Calendar of Events - New Address, New Stuff! I have switched the address of the official web calendar of events for the music department one last time. Due to syncing issues with Apple's iCal, Google, and the MEC filter, I have moved it entirely to Google Calendar. 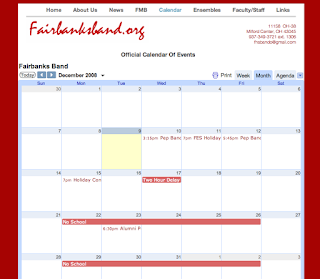 The calendar now also has a permanent place on the fairbanksband.org serve. This address should not change, even if my method of calendar hosting does. You can see an "itty bitty" version of the calendar on the main Fairbanksband.org page, or you can see the larger version here. This is an interactive calendar, so please be sure to click on events for more information. Please update your bookmarks, or just aways go to Fairbanksband.org and click on the "Calendar" tab at the top of the page! Thank you to all the member of the 2008-09 Fairbanks Basketball Pep Band for a great first rehearsal! We covered all the music that I wanted to approach on this first meeting. Keep up the great work. Rookies: keep working on the basics and play what you can. I know it is a lot of music to digest, but I must assure you that you're off to a great start! Wednesday's rehearsal is the same time 3:15-5:15. If you could not make the Monday rehearsal, please be sure to be here for this last rehearsal before our first game on Friday. Speaking of, the call for Friday is 5:45 - please be ready to rehearse. Pep band t-shirts will not be ready until next week so please wear red/white Fairbanks garb on Friday. FMB low brass get your $14.50 to Josh ASAP for your t-shirt. Cool? The required after -school rehearsal for the 2008-09 Fairbanks Pep Band are Monday, December 8 and Wednesday, December 10 from 3-5:30 in the band room. All band members should attend these important rehearsals. We will also take the group picture for the winter sports program and the web page after rehearsal on Monday at approximately 5:15. Please do your best to remember to wear something red and/or white on Monday so we have that "spirited" look that we want to project to the public. 1-3 - Poor. Unprepared. Problems with rhythms/notes and fundamentals of playing. If you have any questions about your performance in specific, please feel free to contact me and I would be glad to give you more information. If you were absent today, please arrange to make up your test when you return.